Each year, one week is declared by Presidential Proclamation as Fire Prevention Week. This week gives organizations around the nation the opportunity and platform to highlight the dangers of home and wildfires, and promote the numerous ways to prevent them. 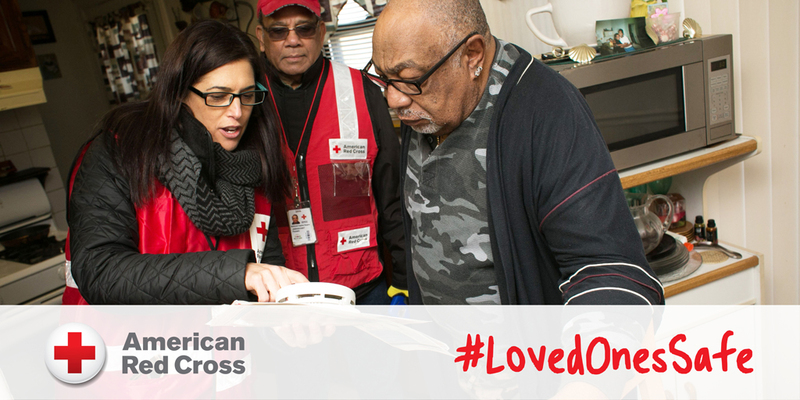 This past year, CMC partnered with the Red Cross in their Home Fire Campaign, dedicated to providing education and resources to the public to help minimize the threat of fire damage and death. Launched in 2014, the program has succeeded in saving over one hundred lives, and seeing to it that nearly 500,000 fire alarms were installed in homes and businesses throughout the country. Locally, the American Red Cross of the Pacific has used the hashtag #LovedOnesSafe on its social media pages (Facebook and Twitter) to promote fire prevention and planning. Why does Fire Prevention matter to CMC? As a trusted provider of rescue equipment and training to the fire industry, safety remains our top priority. We are absolutely committed to keeping firefighters and other rescue professionals safe, not only by providing the most dependable tools for rescue, but doing our part to educate the public on the importance of taking measures to prevent disasters before they start. Every 40 minutes a fire-related injury is reported. Last month, on November 5th, the American Red Cross of the Pacific held a Home Fire Preparedness Event that provided information and education to the public on fire safety and preparedness, including the installation of free smoke alarms. As a sponsor for this event, we wanted to bring much more exposure to the dangers posed by defunct or missing smoke alarms, and the effectiveness of escape route planning, especially before the holiday/winter season.